With the stupendous growth in educational sector, academic institutions are becoming increasingly complex. These educational institutes are no longer restricted to education delivery but are also entitled to manage a wide range of activities like Student Information System, Placement Management, Transport Management, and Financial Management to name a few. Thus, it goes without saying that educational institutes deserve the best in terms of modern management solutions and state-of-the-art technology to meet their internal and external operations. Identifying this challenge as an opportunity, Kamal Agrawal set up Efficacious India Ltd in 2012. Based out of Mumbai, Efficacious is an ISO 9001:2008 certified company which functions with a clear vision of delivering IT enabled solutions to eradicate the problems of education systems. 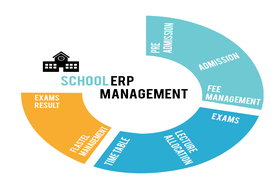 Keeping in line with its founding objective, Efficacious has introduced E-SMARTs, a Student Management and Remote Tracking System which enhances real time connectivity between parents, teachers and students. The software\'s tracking feature employs RFID (Radio Frequency Identification Density) and Real Time GPS which automates tracking of each student entitled with a RFID integrated identity card, thus solving the issues of child security and education management. The cloud based management software sends across notification over SMS, E-mails and through mobile app, allowing parents and teachers to track the locus of the children. E-Smart Track is another utility product developed by Efficacious, taking into account the requirements of Transporters, Cab Operators, Fleet Owners and Bus Operators. The product offers all its relevant users the means to track their vehicle, know the speed, status of fuel, last travel details, route details, milestones achieved and the complete information of driver along with license details and more. Incorporated with Microsoft's Bing map and Google map, E-Smart Track also allows users to locate their vehicles. "At Efficacious, we believe that we are well placed to meet the requirements of Education sector. We have a very simple approach, 'Service to the End Customer' and in school domain ERP, students and parents are our end customers and our efficient team is continuously working towards alleviating their pain areas through digital governance and approach," utters Kamal Agrawal, CMD, Efficacious India Limited. Steering its way ahead, the company has incorporated an associate company in Dubai under the banner Efficacious Technologies LLC, to provide specialized enterprise software solutions in Middle East and Africa region. In addition to marketing its own product, Efficacious has also collaborated with the other best IT solution providers in respective domain to expand in overseas market particularly GCC & Africa. Conversing about the future roadmap of Efficacious, Kamal adds, "Since our inception we have achieved turnover of more than 72 lakhs INR in the last year and based on our order book this number is going to be doubled in the current year. We are quite optimistic about our work and are continuously motivated to keep up with our mantra of not to compromise on quality."